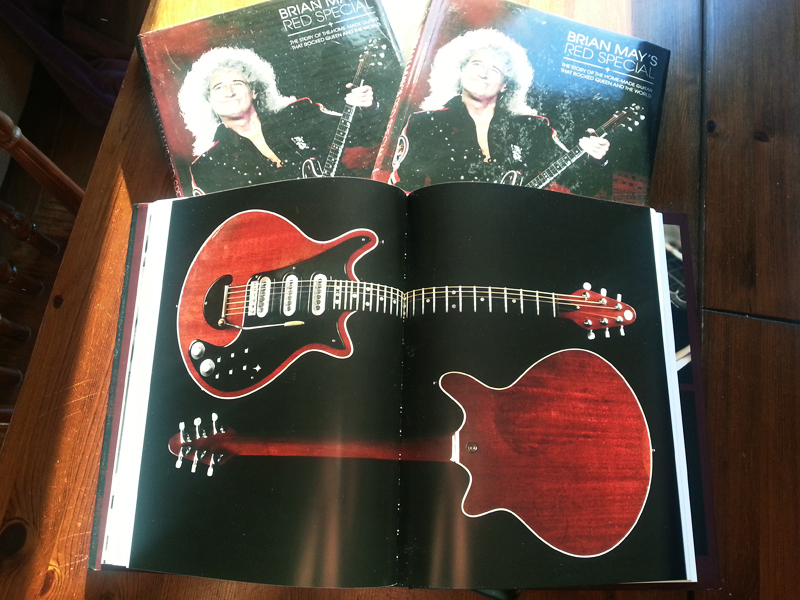 In the final part of Simon Bradley’s blog detailing the production process of the Red Special book, the job is fnally done and finished copies being arriving in bookstores. Although articles I’ve written have featured in numerous copies of various magazines over the past 18 years or so, I’ve never really considered myself to be a ‘published author’. 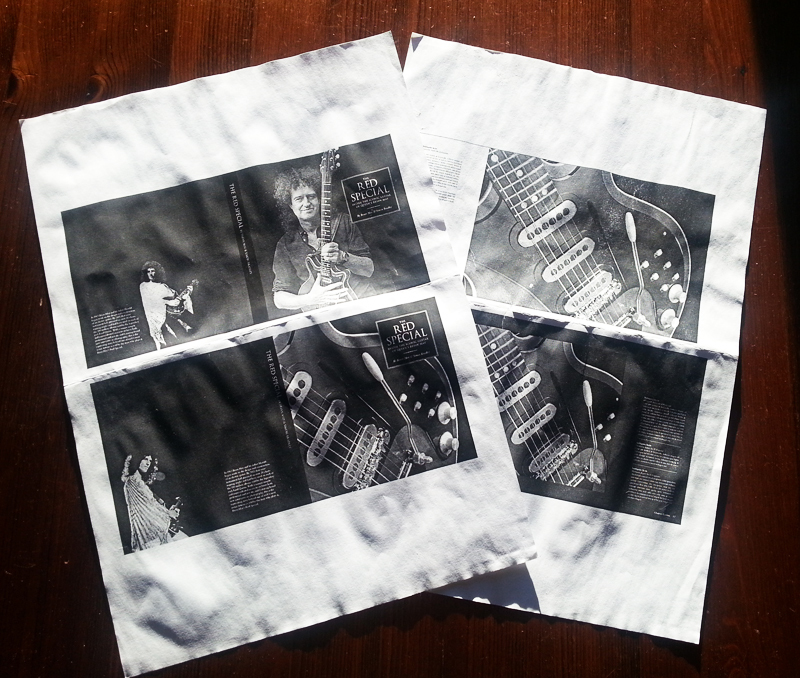 Maybe it’s the somewhat ‘…here today, gone later today…’ nature of some aspects of modern digital media, but a book, it seems to me, is for life, whereas an issue of Guitarist, for example, is for just three weeks until the next one is published. A book – any book – may ultimately go out of print, but it’s unlikely that, as with magazines, unsold copies will be pulped for recycling when the new issue on the block sashays through the door of WHSmith or wherever, spitting on the floor and laughing at the now irrelevant ‘back issue’. Of course, the same fate awaits them, mere weeks in the future. We’d hit the deadline with mere days to go, as previously described, and then…well, a whole lot of nothing happened, or so it seemed from where I was sitting. 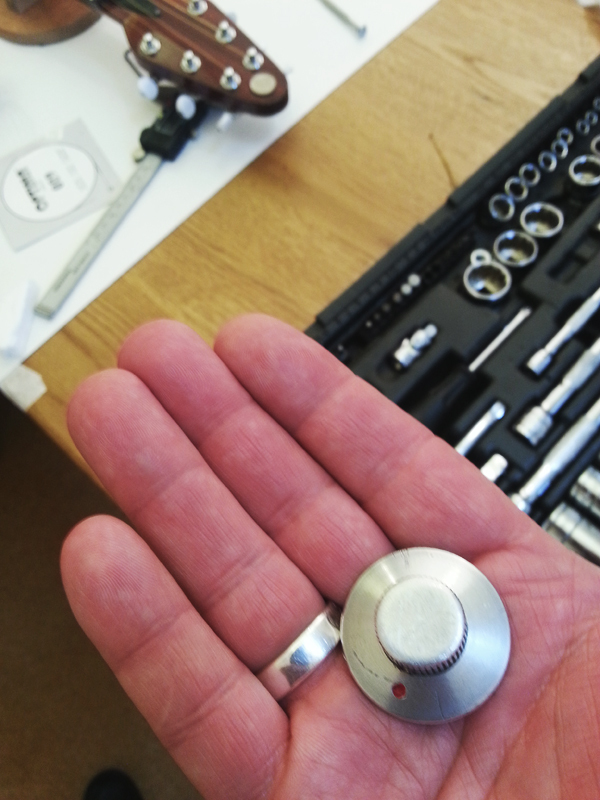 I cherish my ignorance of the whole process of assigning print slots to a particular title (think a huge jigsaw with pieces each made from thousands of pounds and one false move would see the whole thing disintegrate) but, needless to say, the book needs to actually be printed in time to allow for its distribution to retail outlets and this takes planning and precise timing. Get it wrong and there’s danger that slots will be missed, leading to the ultimate in publishing no-no’s: it goes on-sale either late or, worse, not at all. All I could do was wait. Then, one day, I got a short text from the Malandrone household. ‘Book looks great’, it said. An advance copy had arrived. Wha’? Does it? Where’s mine? WHERE’S MINE!!?? A panicky call to Carlton Books led to us discovering that an incorrect postcode had delayed my copy, and I spent a pathetically tense afternoon and evening waiting for the clock to tick around to the following day when our postie would drop a big padded envelope through my door. I felt like a kid on Christmas Eve, although it was a dark and unsettling level of excitement rather than one filled with sugar plums, reindeer hooves and a fat bloke with a beard. The next day, to my eternal relief, postie didn’t let me down and pushed a package through the letterbox…just 30 minutes before I had to leave for work. Pile it on, why dontcha!? I treated myself to the quickest of quick flicks, emotions running every which way, before bolting out the door. I sort of dreamt my way through that day’s shift, and I actually felt a little weepy at times. That said, I was also feeling impossibly happy, buoyed by our – my! – achievement in actually getting the book out there. It’s difficult to accurately describe how I felt when I finally sat down to give it a proper going-over, but seeing the by now familiar cover image, actually holding the book in my hands and flicking through, spotting certain passages that I distinctly remembered writing a couple of years previously, was an almost out of body experience. 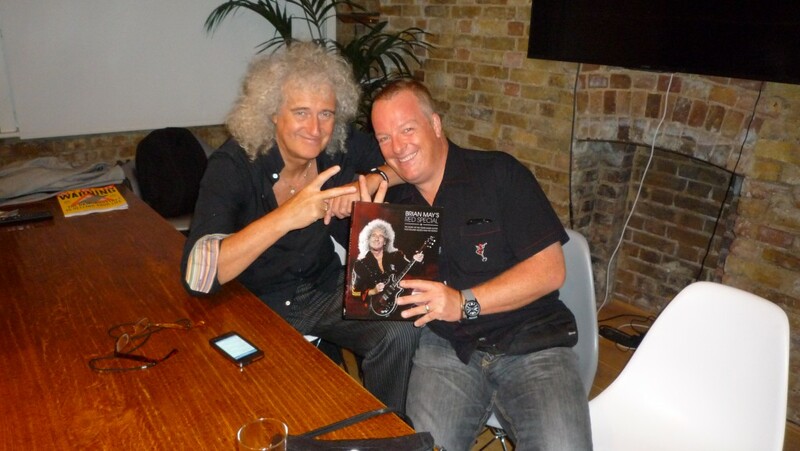 The Red Special’s volume control, modelled by your humble co-author. Made on a lathe and fitted to the guitar around 1970, it’s stayed there ever since. By this time I’d read the book in myriad guises many, many times, so was intimately familiar with the book’s pacing, where my favourite bits were and, as is the author’s curse, parts where, in hindsight, we could have done a little better. But I thought – think – it was great and I tried to imagine if I was 14 years old today, clicking away on Amazon to order my copy and waiting, breathlessly, for it to be delivered so I could do exactly what I was doing at that moment: revel in the story of a man and guitarist I admired and the iconic instrument with which he played music that changed my life forever. If truth be told, I’m a little sad that the journey is over. Don’t get me wrong; I’m so happy that the book is out there, but it’s unlikely that I’ll be involved in such an engrossing project again any time soon. 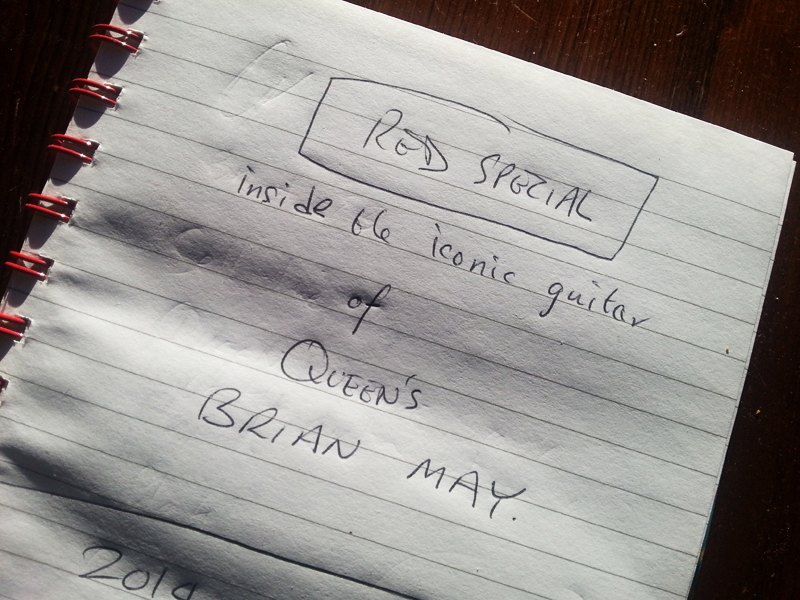 I’ve held the dismantled Red Special in my hands, a dream for such a Queen-obsessed guitar geek as myself, and have worked closely with my ultimate guitar hero. While I’m not sufficiently arrogant to assume that Brian and I are close friends, we have what I consider to be an effective and warm working relationship, and – take it from me – he’s as affable and accommodating a man as everyone says he is. Remember, he’s a world-famous rock star, a member of one of the most successful rock bands of all time, and an icon to countless tens of thousands. For me to have had the opportunity to work with him on this overdue and incredibly worthy project… well, I’m struggling to imagine how it will ever be bettered. Still, we didn’t do it for the glory, but because it needed to be done. The book’s proving popular and is selling well, I’m told, which is the greatest achievement of all, and I genuinely hope everyone who did us the great privilege of buying a copy finds themselves revisiting the story of one man and his guitar again and again.